Jean-Jacques Rousseau condemned urbanization for encouraging the selfish, corrupt pursuit of one’s own good at the expense of others. He was half right: today, it is cities that that can solve our toughest challenges, including poverty and hunger, but only if their governments can prevail over the powerful interests that cities generate. Austin – Living in a city turns you into a cannibal. That, at least, is the metaphor preferred by Jean-Jacques Rousseau, who considered cities a pit of human corruption. Rousseau was so convinced of the malign effects of urbanization that he “would rather see men grazing on meadow grass than devouring each other in cities.” Urbanization inures people to the suffering of the countryside, and as townspeople crowd together, their capacity for compassion toward others atrophies. Urbanites become the kind of people who are ready to sacrifice one another to satisfy their appetites: cannibals. Rousseau’s fear that cities inspire inhabitants to pursue their own interests at the expense of others remains as relevant today as it was in the eighteenth century. And nowhere is this truer than in the food system. 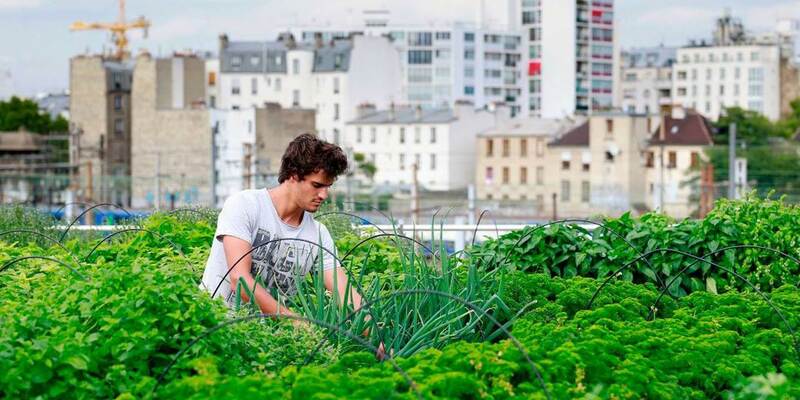 Cities worldwide are recognizing the importance of urban agriculture, and particularly urban agroecology, which uses biological diversity – rather than chemical inputs – to build soil quality, increase crop yields, and manage water use. Metropolitan areas from Rome to São Paolo have supported agroecology to tackle health crises, climate change, and poverty. Rousseau anticipated where and how democracy becomes subverted: “If cities are harmful, capitals are even more so,” he once wrote. “A capital is an abyss where nearly the entire nation goes to lose its morals, its laws, its courage, and its liberty.” In the context of food, capitals today are where money is spent to stop local governments from protecting citizens. Consider the food industry’s lobbying campaign during the run-up to the recent midterm elections in the United States. In Washington State, The Coca-Cola Company, PepsiCo, and Keurig Dr Pepper spent over $20 million to craft a ballot measure to prevent cities from raising taxes on groceries – including sugar-sweetened beverages, which are known to increase the risk of type 2 diabetes. The initiative passed, and although Seattle’s current soda tax was exempted, other cities will not be able to follow suit. In order to keep grocery bills low and industry profits high, Washington State residents were persuaded to sacrifice one another. They are not alone. Over the last decade, 12 American states have passed legislation to stop municipalities from addressing the public-health crisis of processed foods, and at least 26 states have enacted laws to shield food companies from lawsuits linked to diet-related diseases. Although some policymakers do recognize that the food industry is emulating Big Tobacco’s tactics, Rousseau predicted a more general trend: urban wealth is incompatible with public liberty. This entry was posted on Tuesday, February 5th, 2019 at 00:03	and is filed under Uncategorized. You can follow any responses to this entry through the RSS 2.0 feed. Both comments and pings are currently closed.